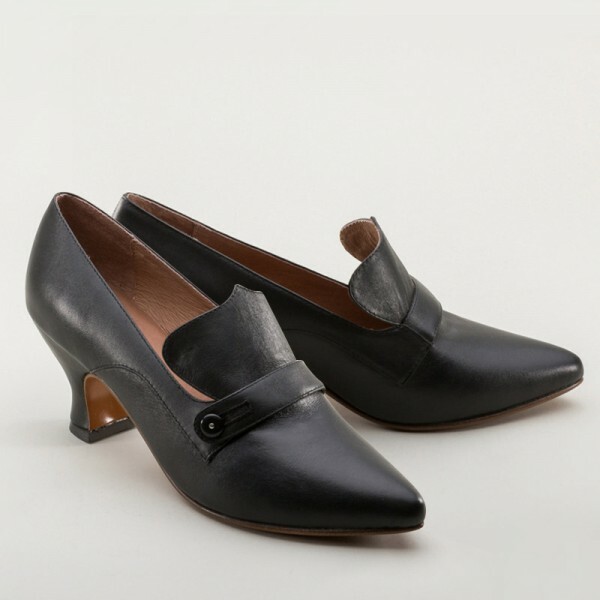 Moliere Edwardian Pumps are the quintessential style of the Edwardian period and perfect for your early 20th century costume or even modern clothes. 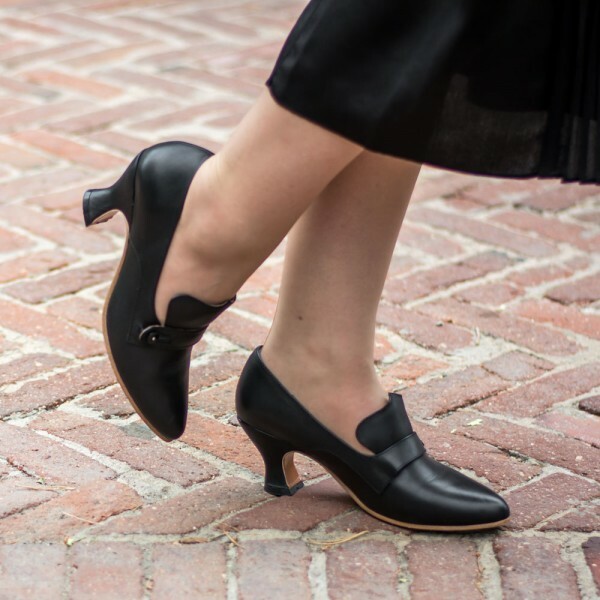 With the iconic, shaped tongue, cross-over strap and button, pointed toe, and all-new 2.25" / 5.7 cm French heel, elegance and refinement are yours for the taking. 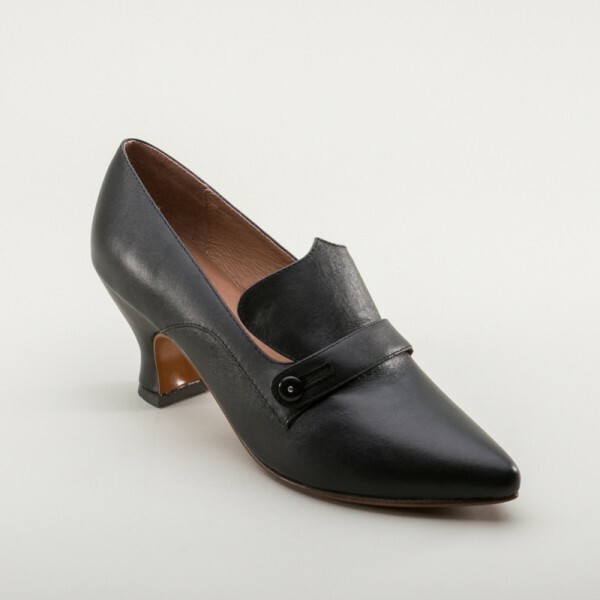 The Molieres are made of top-grade calf leather, lined in leather, and soled with a hard, sealed leather soles. 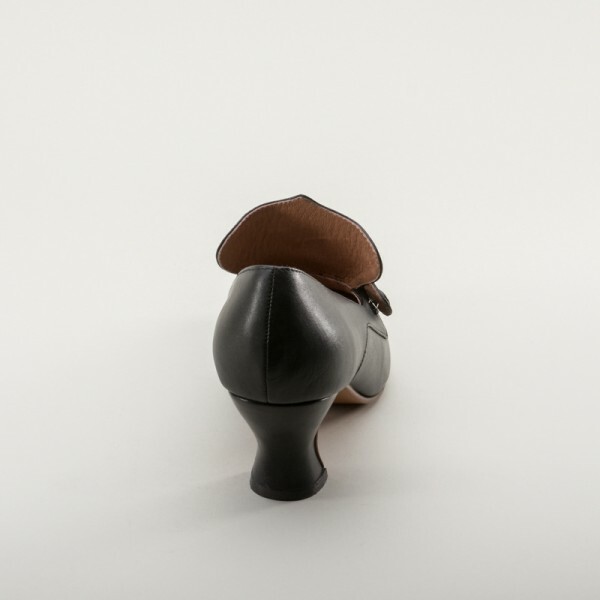 Wear your stunning new Molieres just as they are or dress them up easily with shoe clips and buckles on the strap. 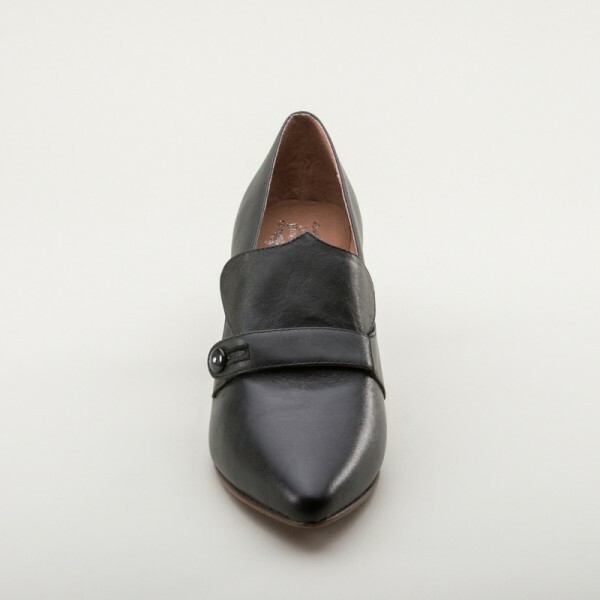 Top grade black calf leather upper - also available in ivory. 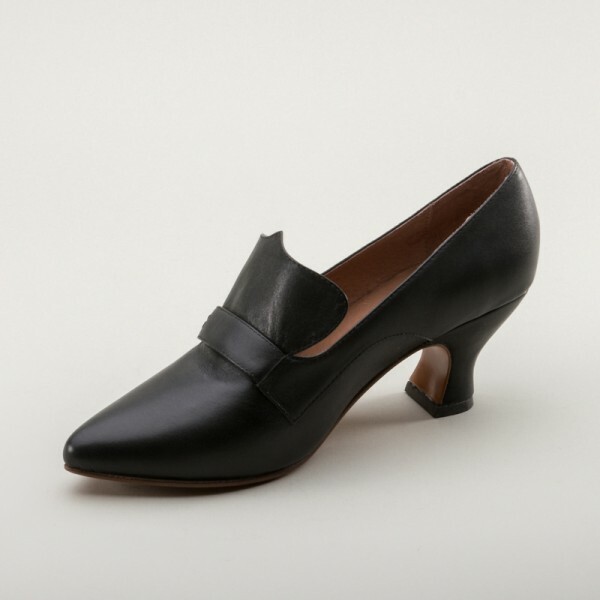 Non-functional strap with button paired with large, decorative tongue. 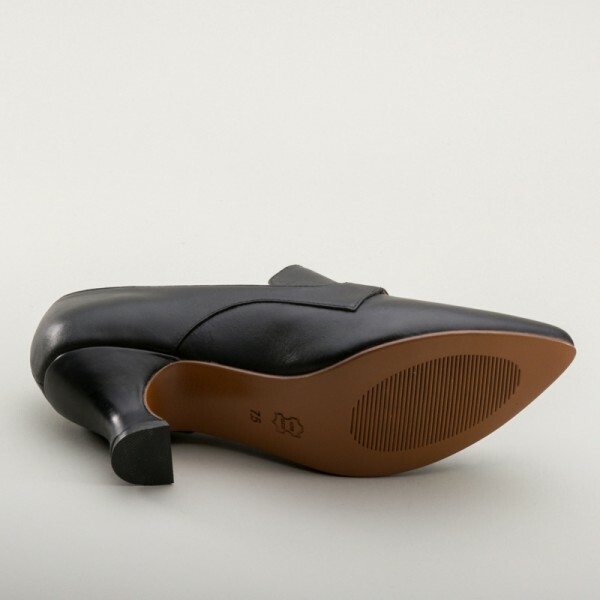 Runs true to size - order a half size larger if you have C width feet. 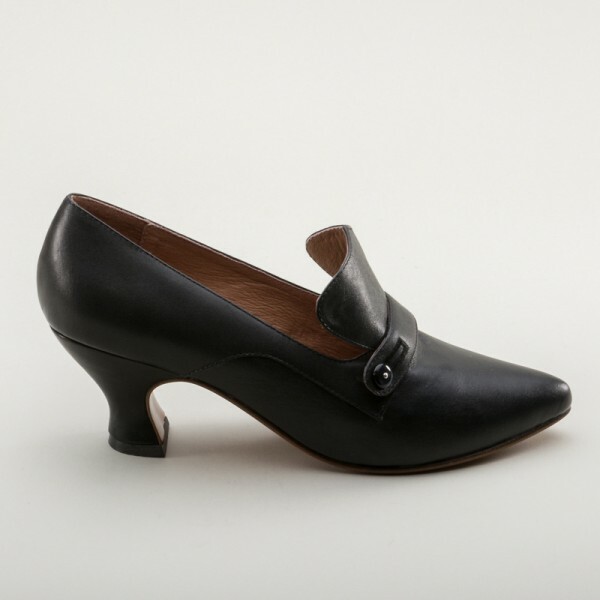 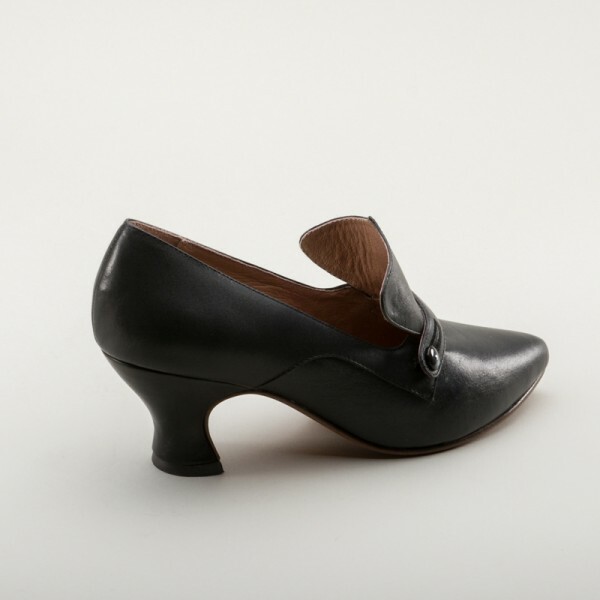 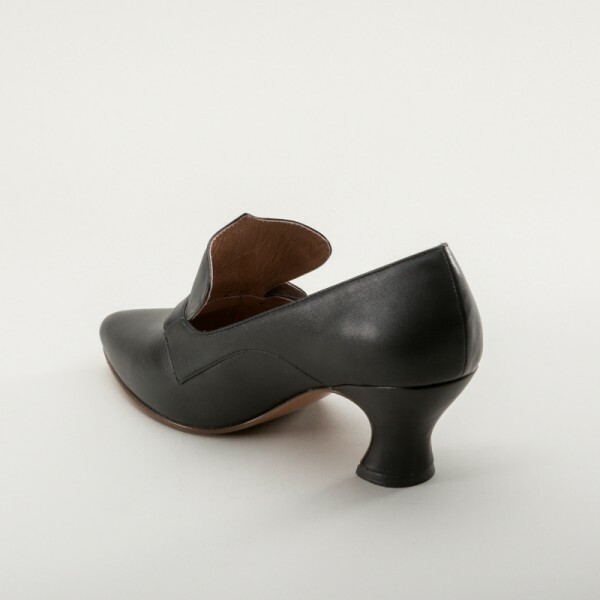 "Moliere" Edwardian Pumps (Black)(1900-1925) has an average rating of 5/5 from 3 reviews.